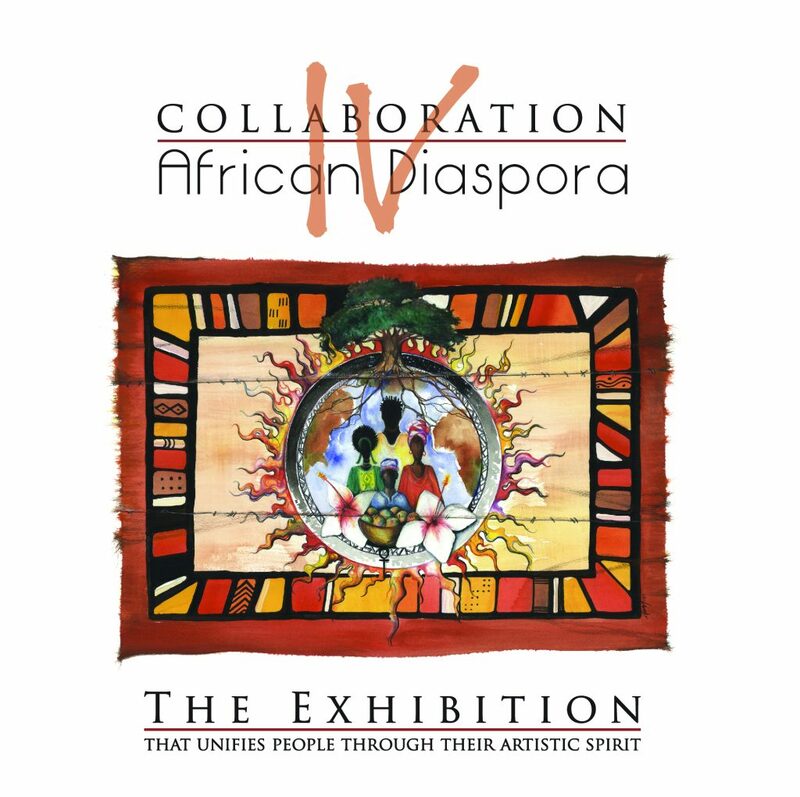 “Collaboration: African Diaspora Exhibition” is offering a special way to spend your afternoon on September 17th, by attending a panel discussion of professionals who service the art community. Your $35. ticket includes a picnic style meal (entree, a soft drink & dessert) a gift bag, plus entry for door prizes. Grand prize is a bronze anointed mask ring custom Limited Edition (designed & created by exhibiting artist Nzingah Oniwosan), with a Value of $125). The Rickie Report shares the details here and urges you to get your tickets now – only 50 spaces are available! 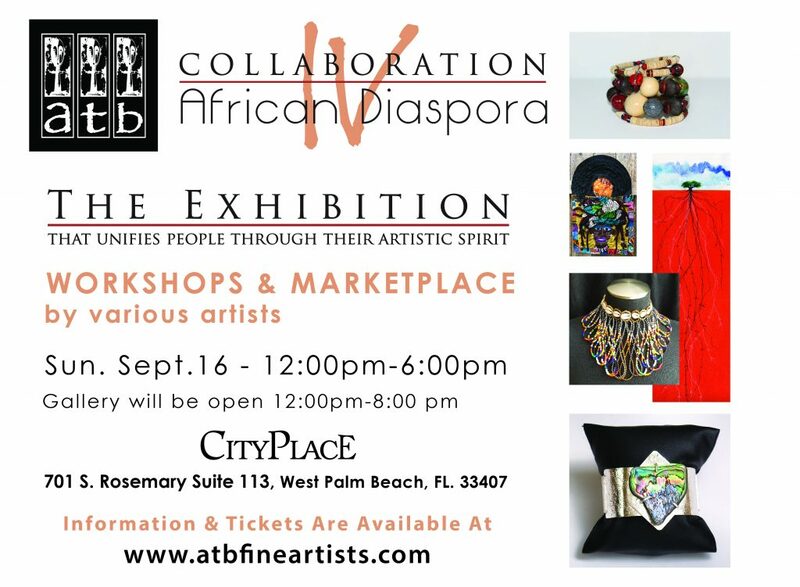 “Collaboration: African Diaspora Exhibition” at the Center for Creative Education is being produced by A.T.B Fine Artists & Designers LLC. 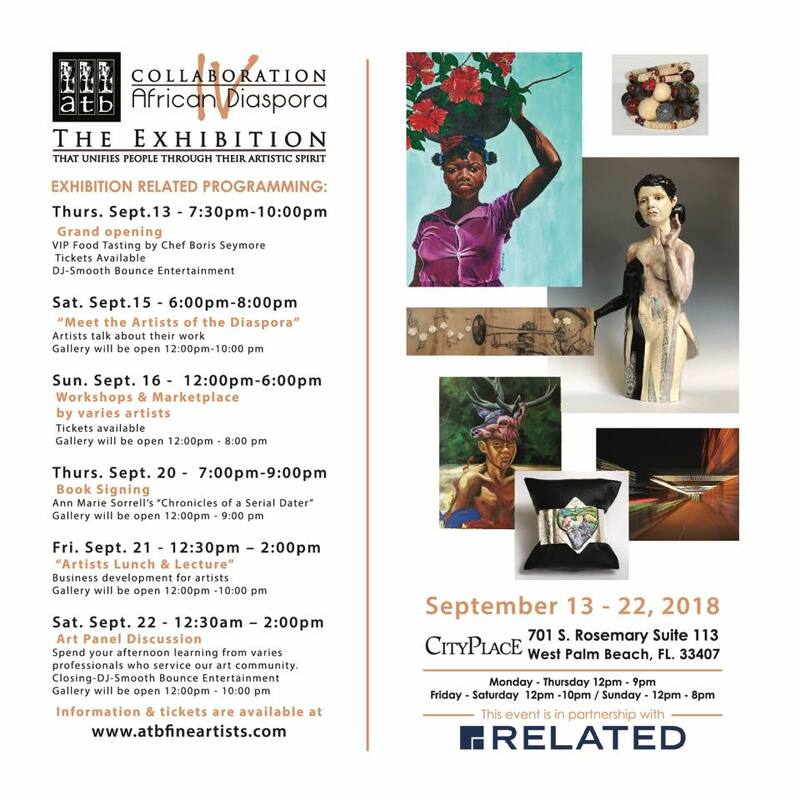 Opening on September 10th with a Public Reception, “Collaboration” will continue through October 21st with lectures, art demonstrations, artists talks and more. 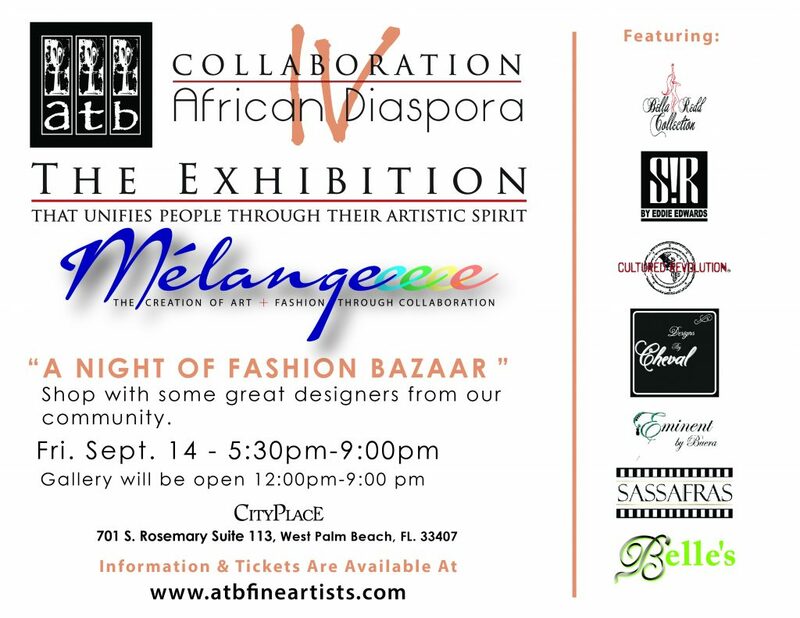 The focus is to show another aspect of art & culture in a community that many people in Palm Beach County have yet to experience. This year’s group includes artists who are originally from, reside in or are represented in the State of Florida. We believe that with the partnership of CCE & A.T.B. the “Diaspora” will be another great success. 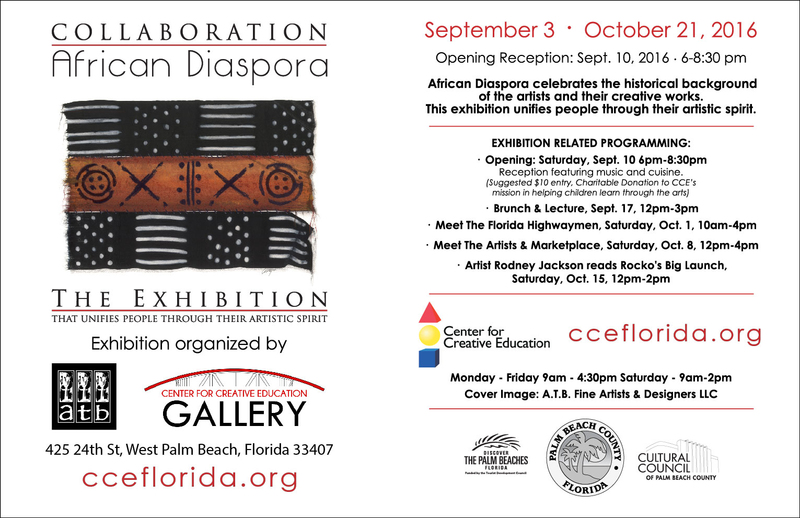 The Rickie Report shares the details of the Exhibition, a few sneak peeks and how to RSVP. Some of these events are FREE, but you MUST RSVP! The exhibition runs from September 3-October 21, 2016. Their vision is to have an African Diaspora (The African diaspora was the movement of Africans and their descendants to places throughout the world – predominantly to the Americas). 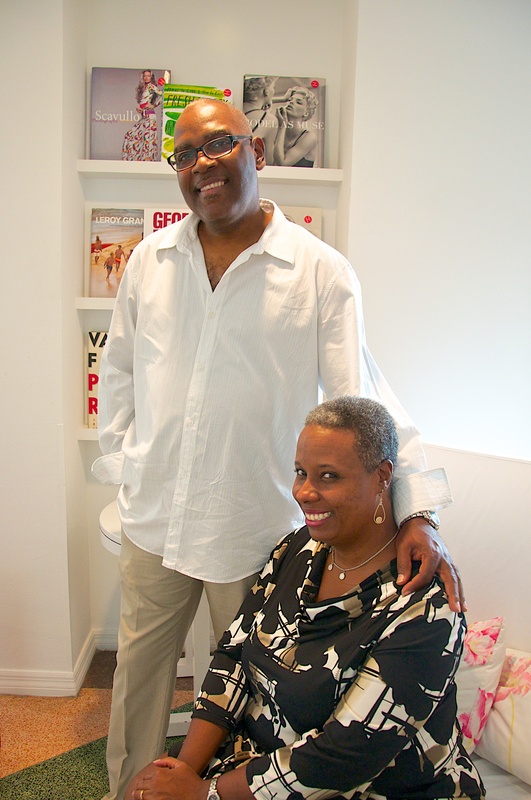 Trina and Anthony Burks explain,” The concept of art itself does not have to be in reflection of the diaspora”. “This is the third installment of the exhibition. 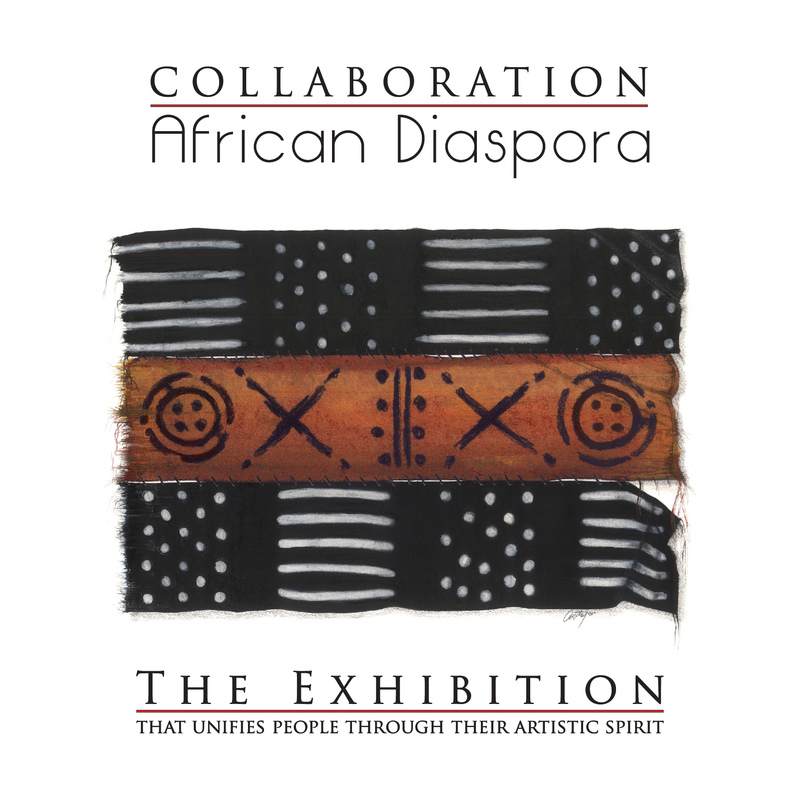 Originally created in 2013, the African Diaspora had displayed a vast variety of artists from around the country. We have achieved this not simply hanging art on a wall or sitting it on a pedestal. It was accomplished by unique story telling through the eyes, hands and lips of the artists themselves”. Anthony Burks is one of the most unique conceptual artists in America. His paintings mix colored pencils, watercolor, pen, and ink, and are characterized by his unusual choice of colors. Whether depicting birds, animals, or people, Anthony is able to convey the intertwining of their beauty and their strength. He chooses his subjects because of what they mean to him, and he tells their stories through his combination of realistic forms, bright colors, and abstract images. Anthony is also co-curator of the exhibition. 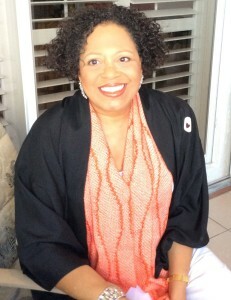 Ore’al Bluntson is a professional artist located in West Palm Beach, Fl. She enjoys painting with acrylics as her primary medium. Ore’al has an abstract expressionist style that is riddled with African overtones. The kimono is a simple garment with a complex history of weaving, dyeing, and embroidery techniques reflecting the cultural changes of Japan. 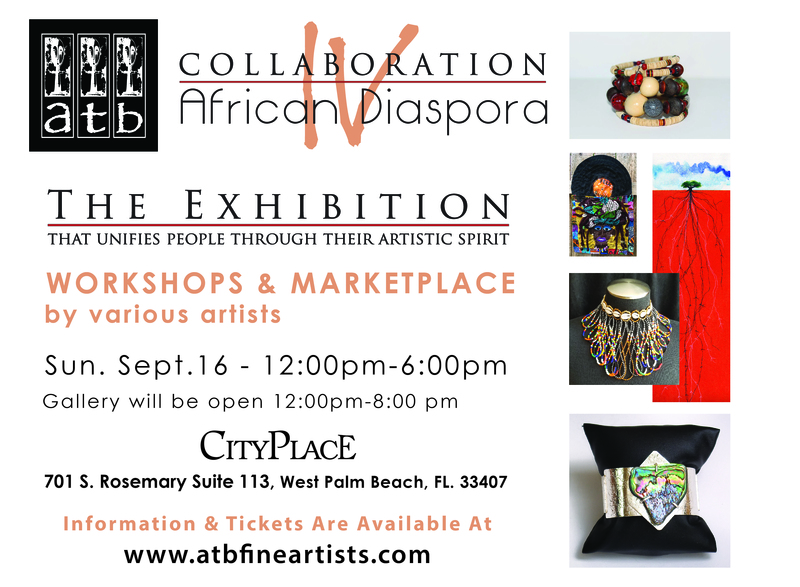 Barbara Cheives of Afrasia Design Studio and Anthony and Trina Burks of ATB Fine Art are bringing an Art and Kimono Exhibit and Sale to Palm Beach County. 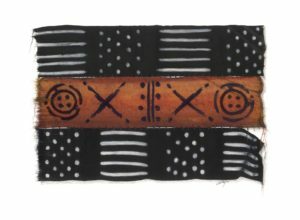 This exhibit and shopping event includes vintage kimono, haori jackets, and obi along with décor items, and wearable art created from vintage Japanese textiles. This is a unique opportunity to experience the fascinating story of kimono while learning to wear and decorate with the garments and the textiles. World renown kimono researcher and merchant, Les Kozuki will be on hand! The Rickie Report knows this will appeal to history buffs, Asian art lovers, textile junkies and fabric hounds. Bring your Fabric Guild and Quilting Buddies! We share a few sneak peeks and suggest you mark your calendars now for Friday, May 15th through Sunday, May 17th! 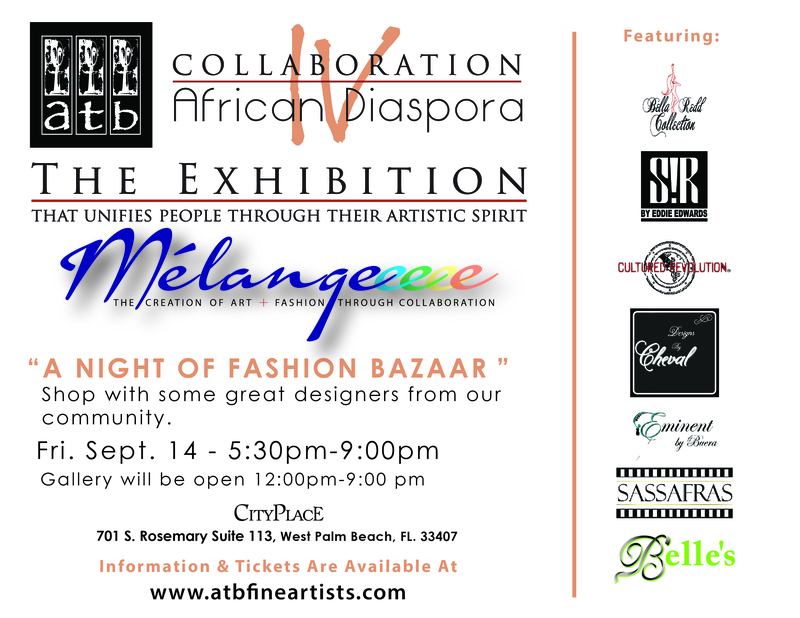 Ronald Shaffer Interiors will host this event. The Exhibit is open 5:00 – 9:00 p.m.
Vintage Kimono has fascinated Leslie Kozuki for most of his adult life. This fascination has lead him to spend most of the last 30 years actively selling and researching Vintage Kimono, Obi, as well as other Asian textiles and Art. 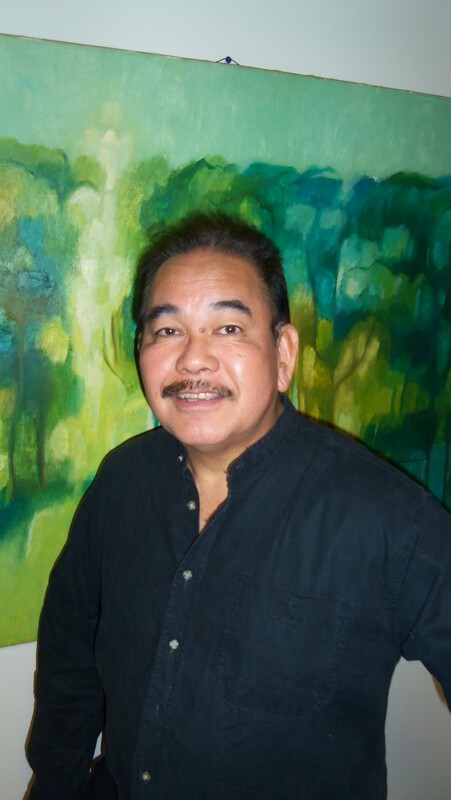 Born and raised in Hawaii, Les was immersed in multi-culturalism. 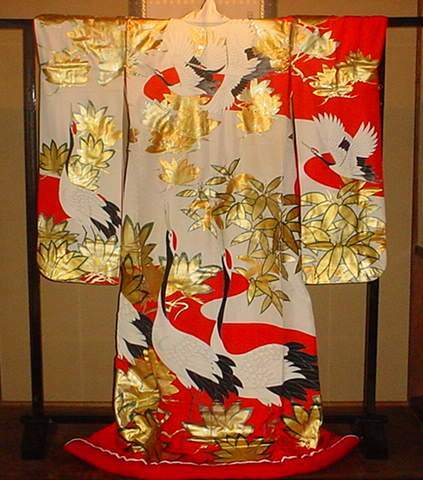 Being Japanese American, kimono were easily accessible. His research began with questioning his parents and older family members, then extended to books, and participation in cultural interest groups. Les considers himself a merchant/researcher and is perhaps the most widely travelled Kimono salesman in the USA. His trunk show and lecture circuit has ranged throughout the United States Mainland. For the past six years, his focus has been in Hawaii, including the islands of Kauai, Maui and Oahu. He is tracking the evolution of the Kimono and its fabric, right here in the United States. Barbara tells The Rickie Report, “Back in the 90’s I accompanied Les to several of his shows, most notably the Houston International Quilt Festival. Through Les’ tutelage I developed an appreciation for the garments, art and culture of Japan. I also have a natural affinity for the African culture and discovered that many of the colors and textures of the African textiles formed a beautiful “marriage” with Japanese textiles. This union resulted in the birth of my artist’s moniker – “Afrasia”. Completing and complimenting the theme of multiculturalism, Anthony Burks will be exhibiting his mixed media paintings. He is one of the most unique conceptual artists in America. His paintings mix colored pencils, watercolor, pen, and ink, and are characterized by his unusual choice of colors. 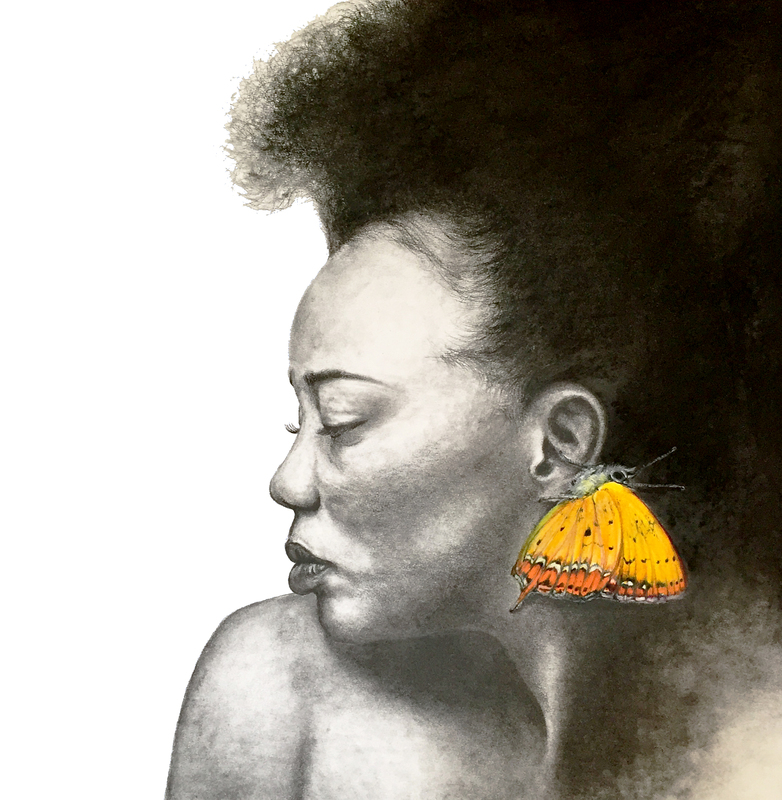 Whether depicting birds, animals, or people, Anthony is able to convey the intertwining of their beauty and their strength. He chooses his subjects because of what they mean to him, and he tells their stories through his combination of realistic forms, bright colors, and abstract images. A graduate of the Art Institute of Fort Lauderdale, Anthony has exhibited at galleries, museums, and events for over twenty years. His painting “Freedom 2001” can be found in the Cornell Museum Permanent Collection. Anthony mentors fellow artists young and old, teaching them his techniques and encouraging them to pursue their own creative talents. He is also the co-founder of A.T.B. 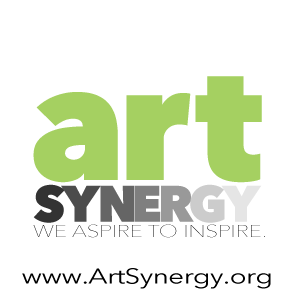 Fine Artists & Designers where he curates shows for other artists and promotes the local arts scene. 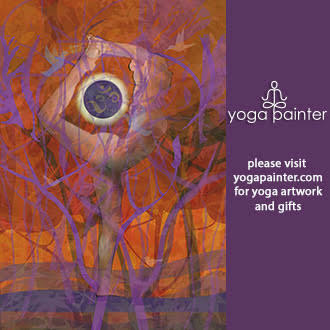 He is presently working on a coffee table book of his paintings and drawings.